Planning and Environment Law Firm Perth. 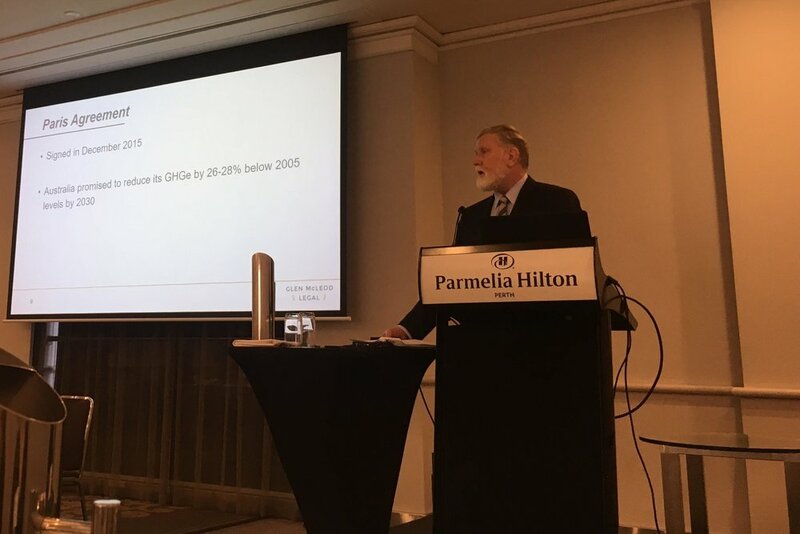 Glen McLeod Legal were pleased to be involved in the National Environmental Law Association (NELA) National Conference hosted in Perth on Friday 14 September on the topic ‘Innovation in Environmental Law’. The Conference brought together a range of speakers from the legal profession, academia, the private sector and government to examine Australia’s response to global innovative trends, how emerging technology is being applied in practice and the role of the legal system in facilitating or restricting innovation. The presentations were diverse and interesting, ranging from topics such as ‘waste-to-energy’ power projects, innovations to save Australia’s wildlife and the emerging role of lithium. Glen McLeod presented on Greenhouse Gas Emission Regulation in Western Australia. This presentation focused first on the Environmental Protection Authority’s Environmental Factor Guideline - Air Quality, which contains the EPA’s policy on greenhouse gas emissions. The presentation then considered how the environmental assessment and licensing regimes operate under Parts IV and V of the Environmental Protection Act 1986 (WA) (EP Act). This analysis indicated the potential for regulatory control of greenhouse gas emissions under both Parts IV and V of the EP Act. Discussion then turned to modern approaches to the regulation of greenhouse gas emissions and considered different legislative approaches taken under the new Victorian Environment Protection Amendment Act 2018 (Vic) and the International Bar Association’s Climate Change Model Statute. Glen concluded with the proposition that Part IV and V of the EP Act provide the regulatory tools for Western Australia to regulate greenhouse gas emissions.